Seal the jar and shake until milk and yogurt are combined. Unseal the jar and cover with a clean cloth. Screw the ring on (without the lid) over the cloth. Let the jar sit undisturbed at room temperature for 24–36 hours. The cream should become thick and tangy (at this point, it is cultured cream, or crème fraiche). Refrigerate the cultured cream for an hour or two until it reaches 60°f. If you happen to refrigerate it longer, allow it to warm at room temperature to 60°f. Process the cream on high speed until the curds separate from the buttermilk, about 1–2 minutes. The mixture will look like yellow cottage cheese. Place a sieve lined with several layers of cheesecloth over a large bowl. Carefully pour the buttermilk and curds into the sieve. Allow the buttermilk to drain for several minutes, then gather up the ends of the cheesecloth and gently squeeze the butter to form a ball, extracting as much buttermilk as possible. Save the buttermilk for another use; it is delicious. Fill a large bowl with ice-cold water. Remove the ball of butter from the cheesecloth and place it in the cold water. Using your hands, gently knead the butter in the cold water to extract more buttermilk. Pour off the milky water, refill the bowl with ice-cold water, and knead the butter again. Repeat this process until the water is clear; extracting as much buttermilk as possible will extend the shelf life of the butter. Gently pat the butter dry with a clean kitchen towel. Place on a piece of parchment paper. Briefly knead the salt into the butter. (The salt adds flavor and helps extend the shelf life of the butter.) Divide the butter in half. 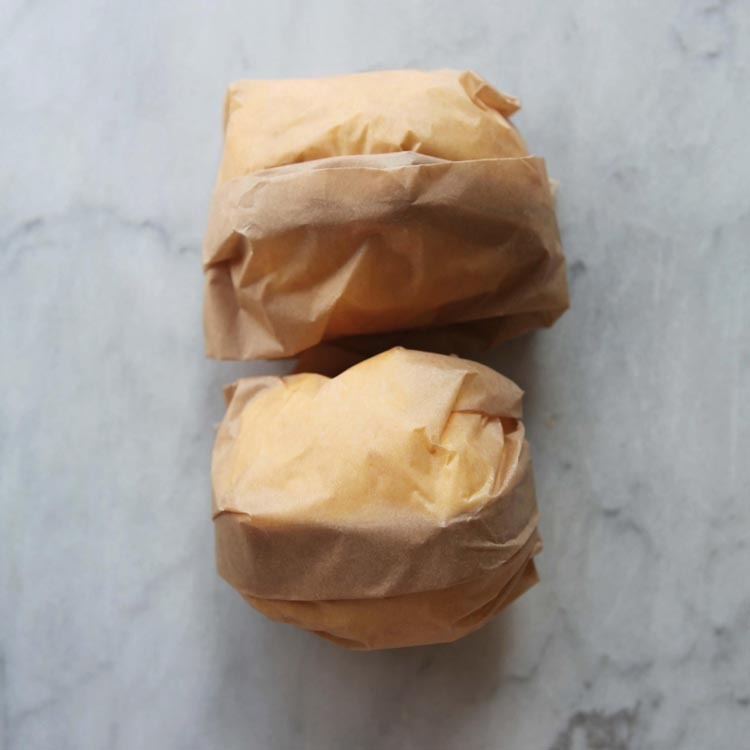 Wrap each half tightly in parchment paper and refrigerate until ready to serve. Refrigerated, cultured butter will keep for several weeks.